Super loved the look, feel, detailing & the overall experience at ‘tree House’ just besides the huge Ken River & liked the food that was more like ‘home cooked’ than at a Restaurant. 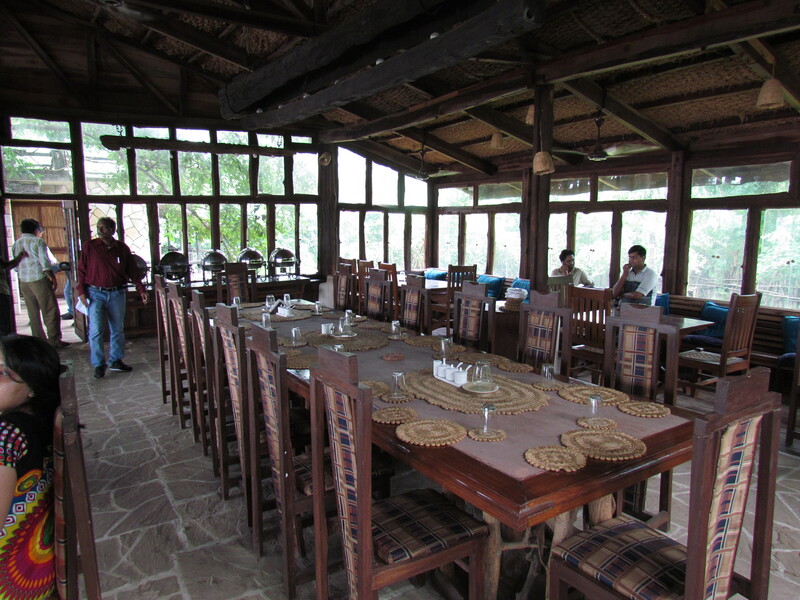 Located 35 kms away from Khajuraho & very near to Panna Forest Reserve, this restaurant is quite an experience – Taxis & autorickshaws are available in abundance to take u there. 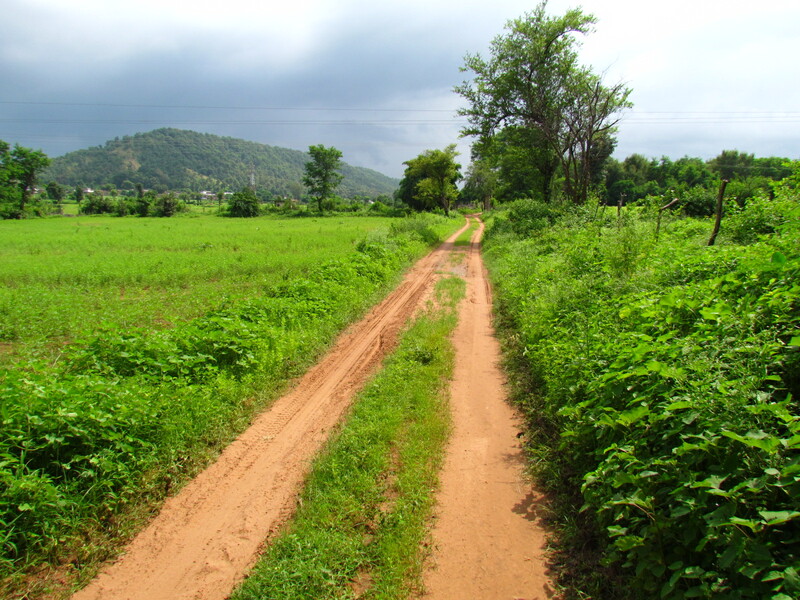 The roads from Khajuraho to Panna are narrow but not bad . 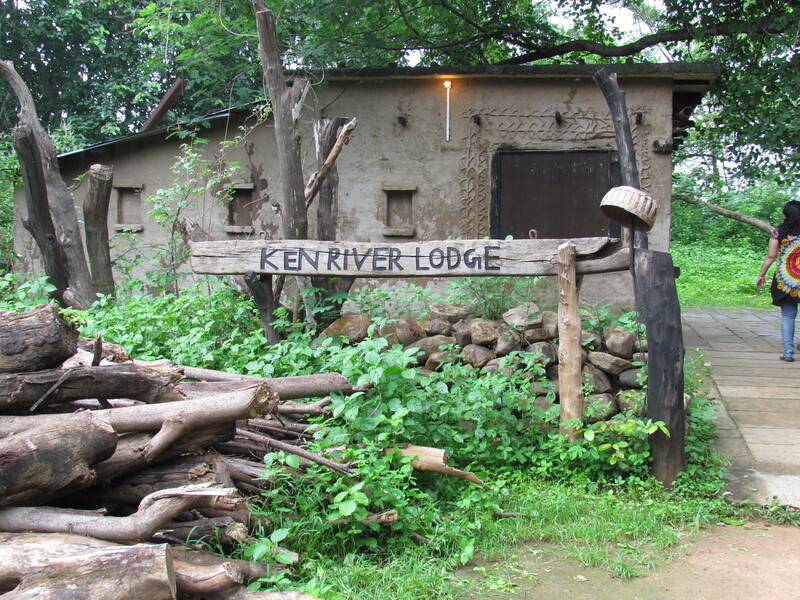 To go to this lodge, one has to get into a village road & the as the road ends, one has to enter a dirt track. The scenery is beautiful & the experience awesome. 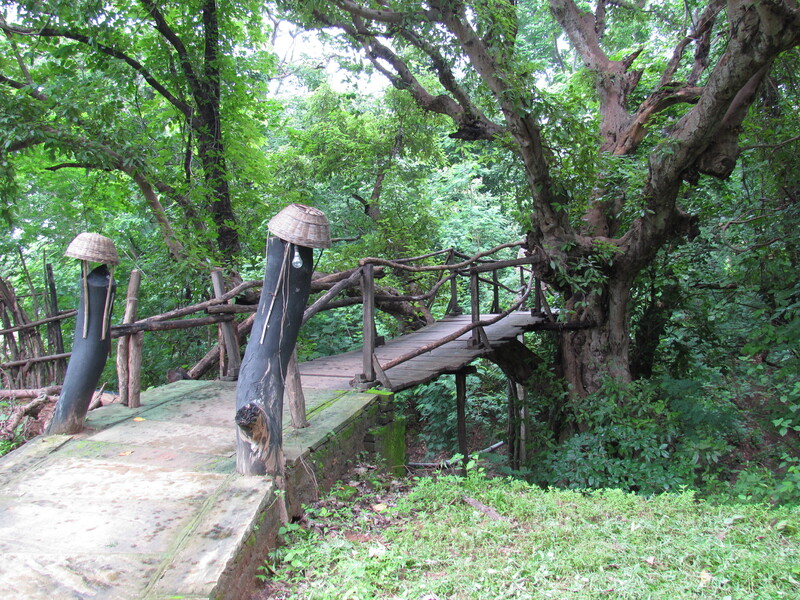 Post u park the car, u have to walk to the Ken river lodge – starting with a rustic wooden footbridge. As u enter the clearing where the ‘Tree house’ is situated, u realize that it is not a tree house in the true sense. 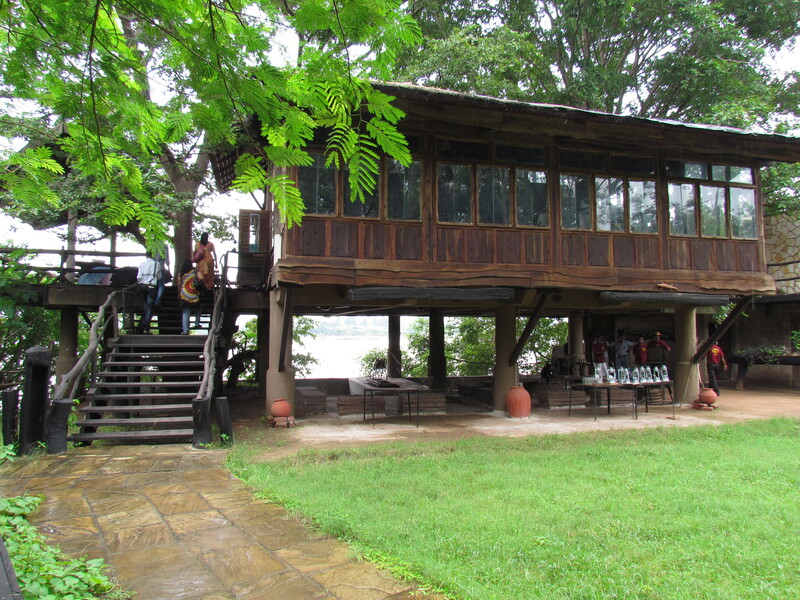 It is a large hall with a large balcony (facing the river) made with wood but placed on a strong cement structure. Branches of real trees protrude from the floor of the dining hall. 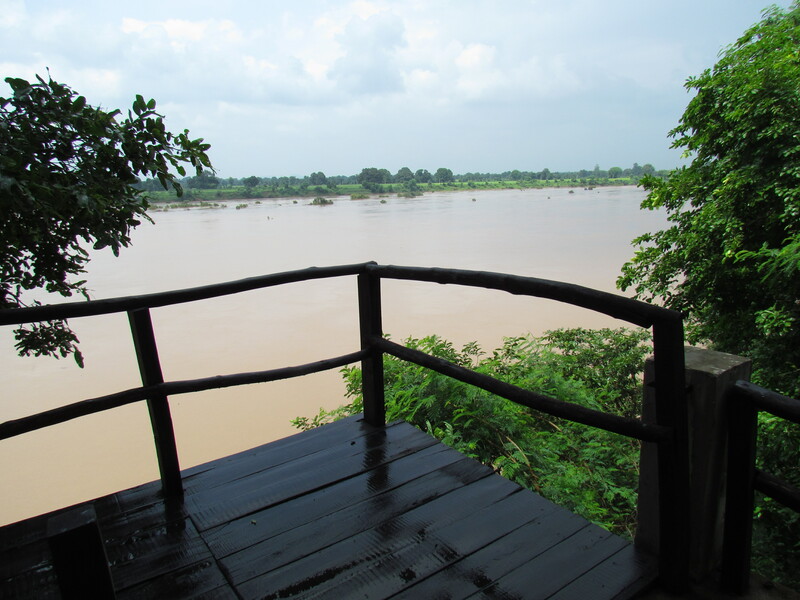 The wooden balcony with the river flowing by, has seating arrangements & it is amazing – It is great for some romantic moments & also for a group of 5-6 friends. The Dining hall is huge & it is wood all around. The ceiling is also made of natural stuff. 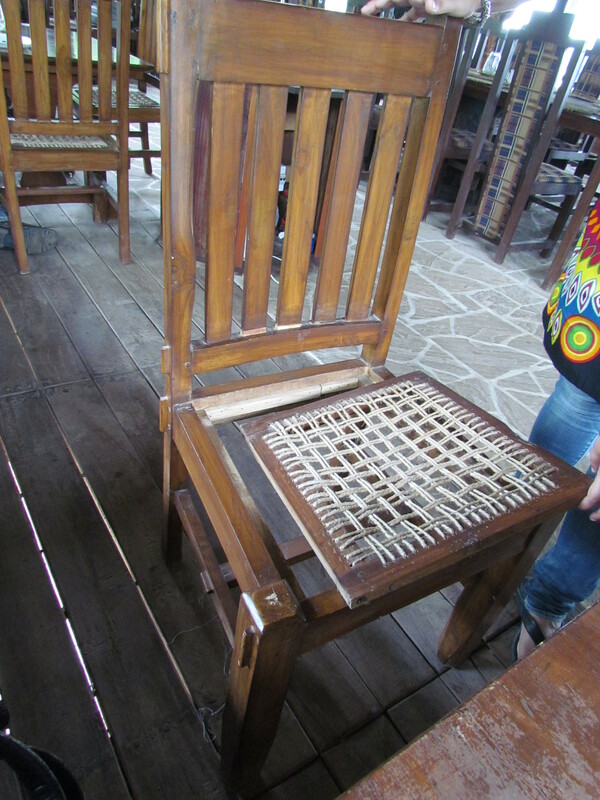 The furniture comprises wooden tables & ‘chairs with removable seats’. Removable coz when it rains, one does not need to shift the heavy chairs inside – just removing the seat tops wud do. The food option at lunch was limited to a buffet – On the day we went the option was vegetarian. Of course one cud order pakoras & other snacks, beer & other drinks. They have English breakfast menu as well. The food was tasty in general – it was more like u r having food at a friend’s place rather than a professional set up. No extra oil, not overtly spicy & not that hot either. U might feel wierd to pay Rs. 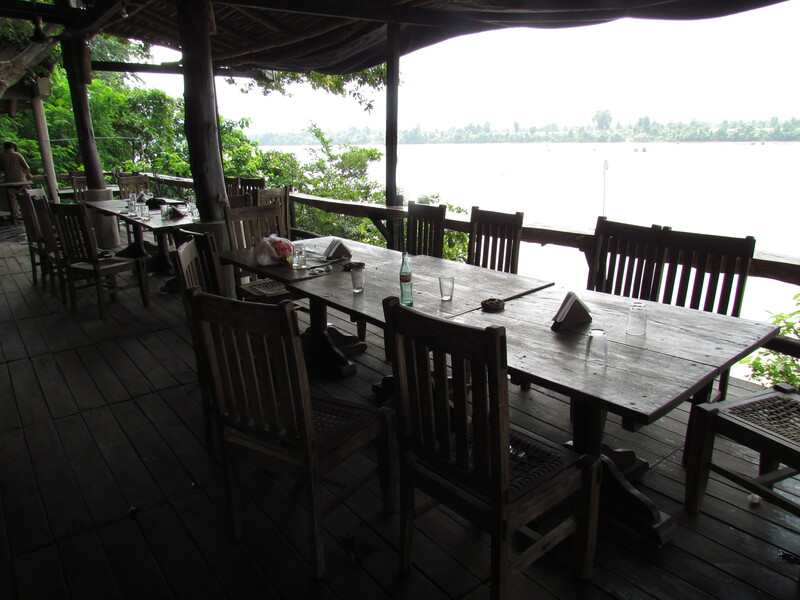 400 per person for this food – after driving 35 km. 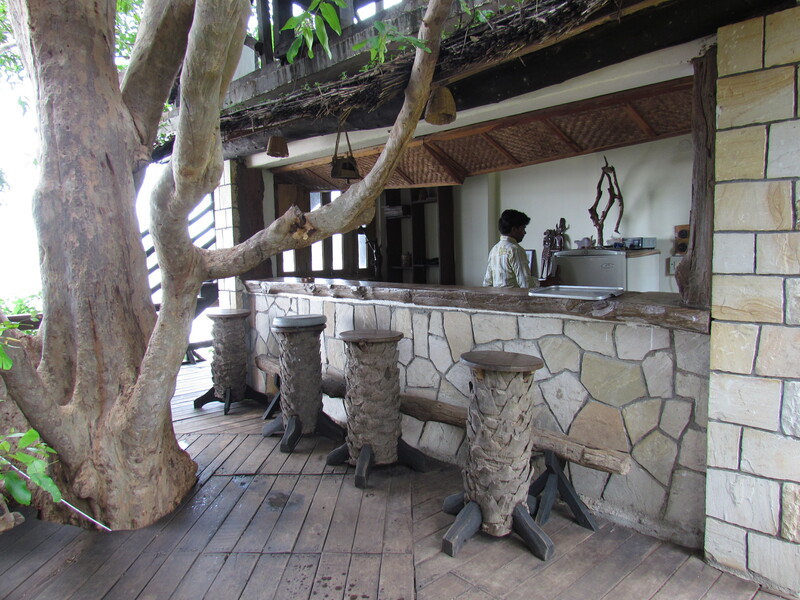 However, after considering the ambience & the time spent – I guess I found it value for money. Just the food is surely not worth Rs. 400. 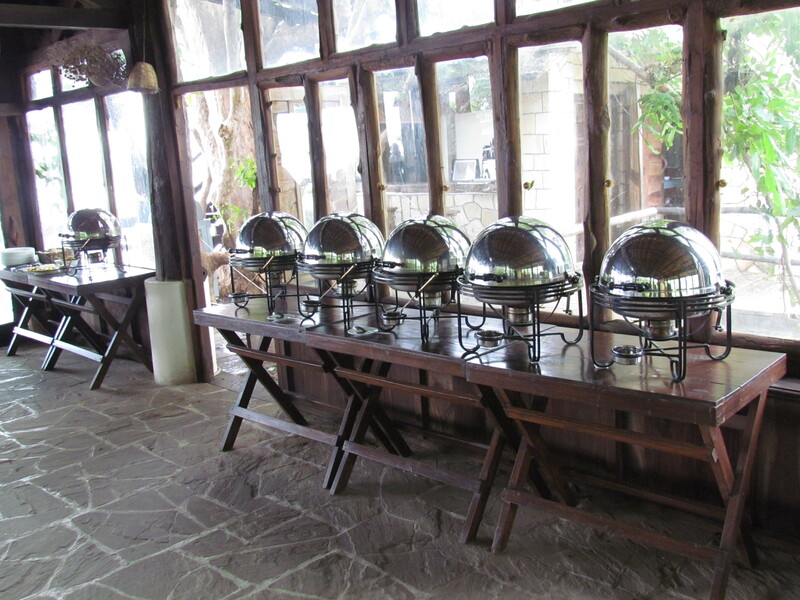 We started the lunch freshly made tandoori rotis & a choice of 5 curries from the buffet. The Rajma morsels were penultimately done but overall it tasted good. If u compare this rajma to a Haldiram’s or a Bikanervala kind of restaurant, this wud seem bland but this was actually like the home made kind. 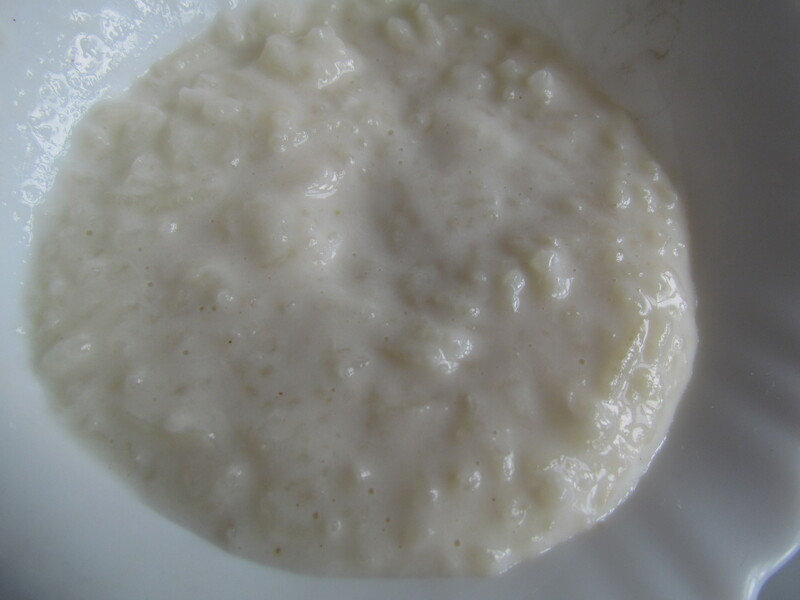 The chhanch (buttermilk) was super sour & we had to add a lot of salt to normalize it. 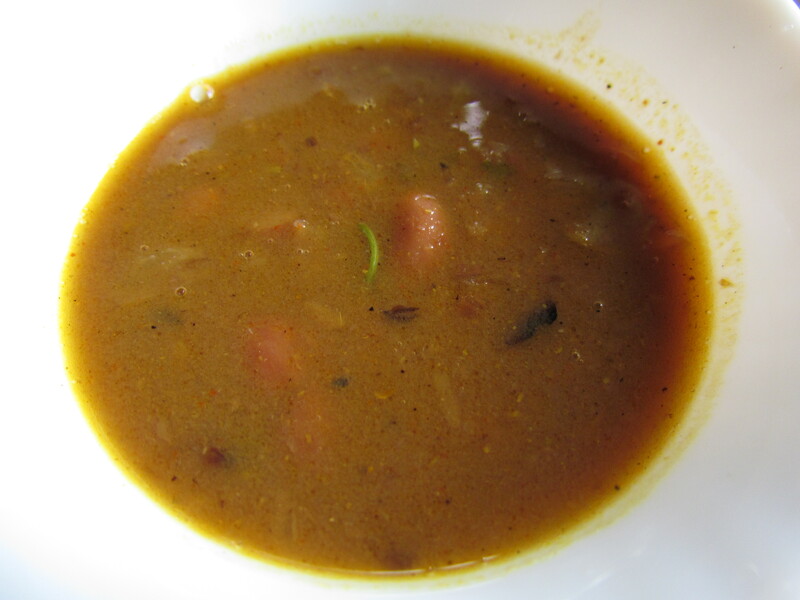 But then it was as fresh as it cud get – it seemed they had got it fresh from nearby villages. For the uninitiated, in villages people churn milk to get butter & buttermilk is a byproduct of this process. 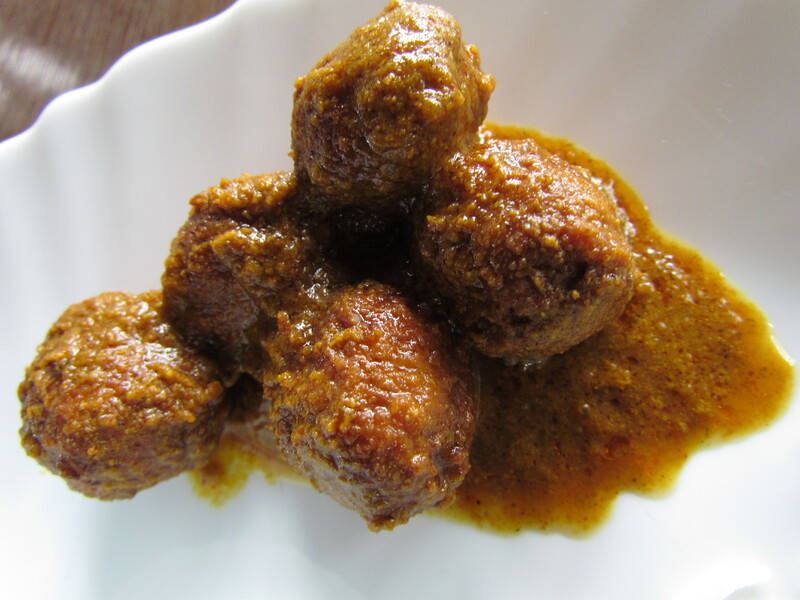 The koftas made of lauki were very good. It was infact so good that I went for two additional helpings – I am not a lauki kofta fan otherwise. 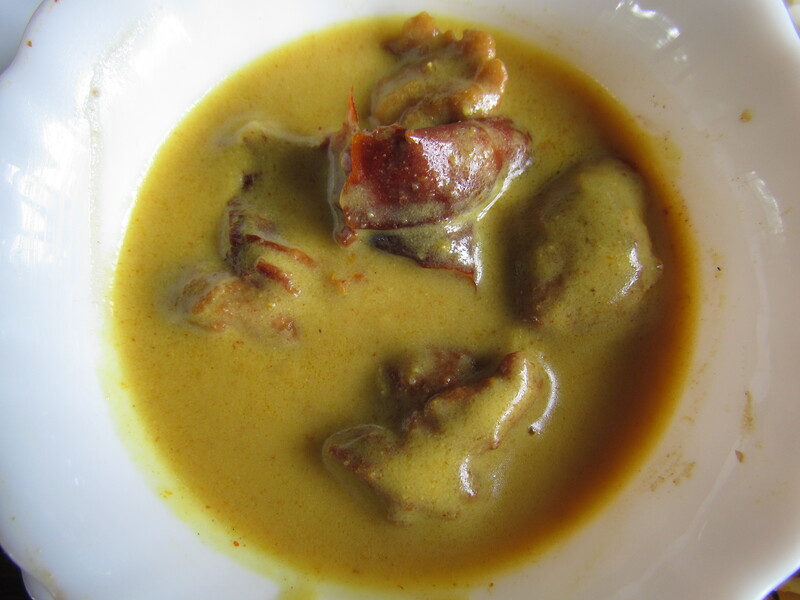 The Kadhi was excellent in terms of taste, flavours & texture but the pakoras in the kadhi were bad. I don’t know how they ended up making the pakoras so hard. 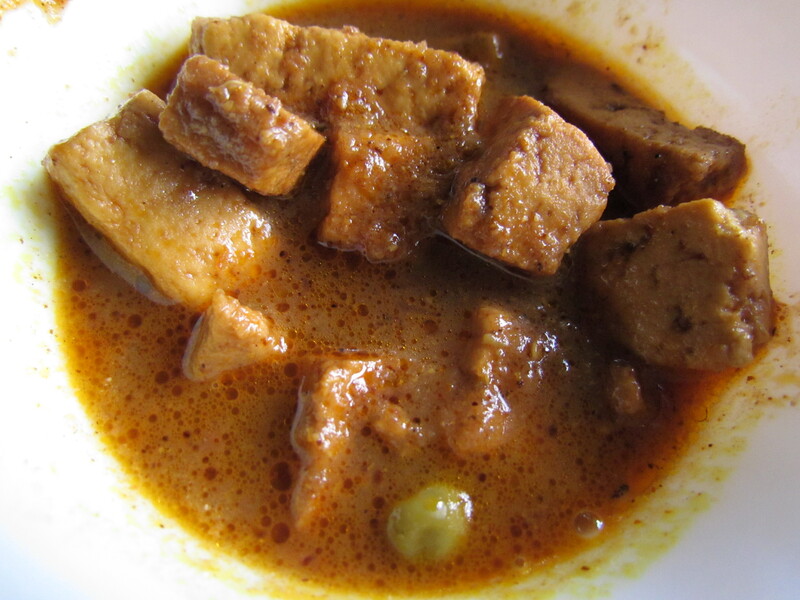 Paneer curry was good – the paneer was not the smooth kind that we get in Delhi / Gurgaon these days. It was of the traditional grainy kind & had a freshly curdled ‘lemony’ feel to it. 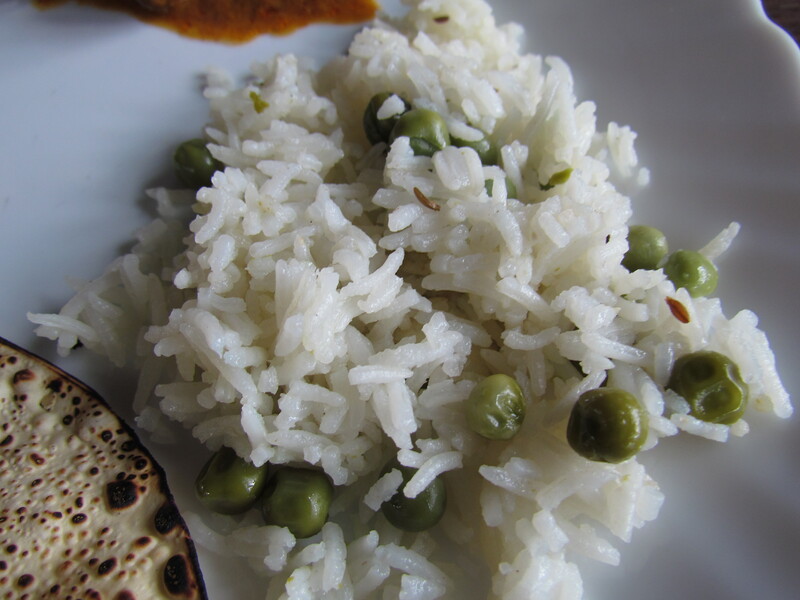 The paneer pieces were soft but not melt in the mouth – like the ones in Haldiram’s. Liked this as well. 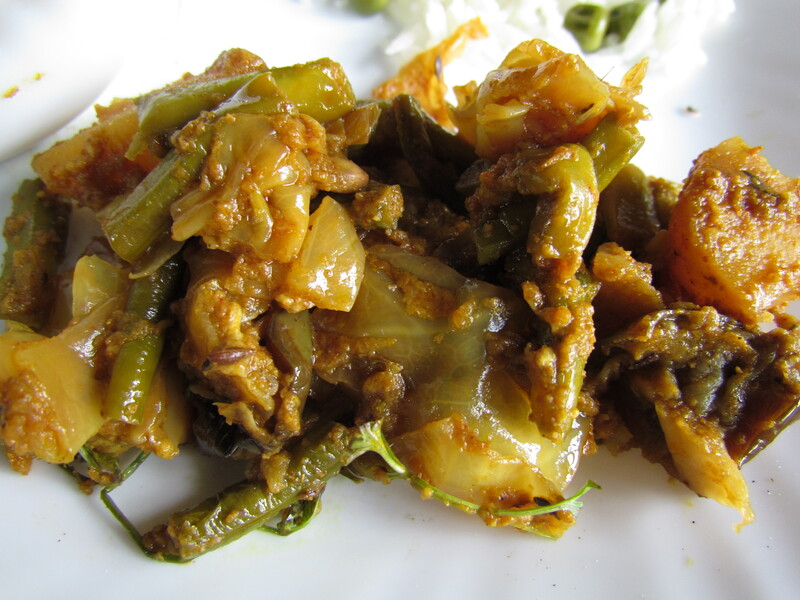 The item I loved the most was the mixed vegetable curry – It was rustic, robust, spicy & mildly hot but no oil dripping from the sides. Very very tasty. The fried rice was Ok. Neither good nor bad. 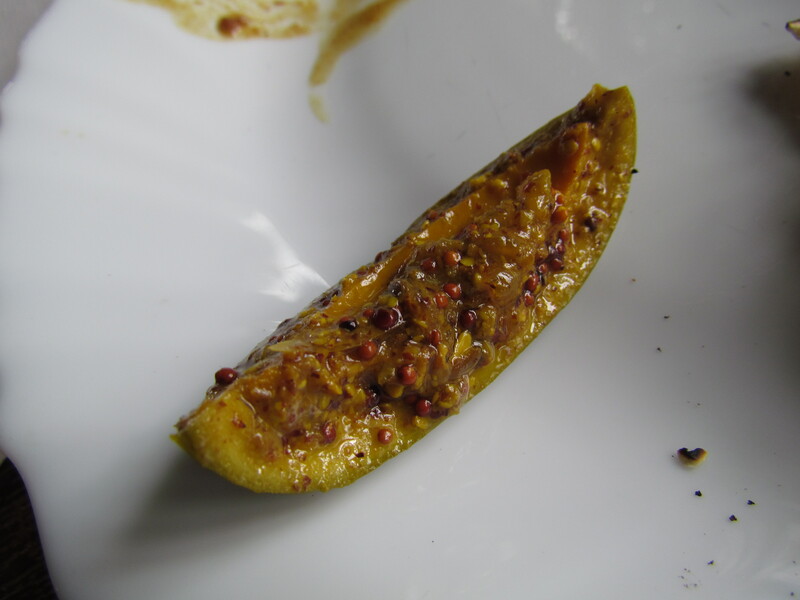 The mango pickle that we had with this meal was surely not the type we buy from markets. Either they made it themselves or had bought it from nearby villages. We cud getthe flavours of the mango as well as the spices. Excellent. 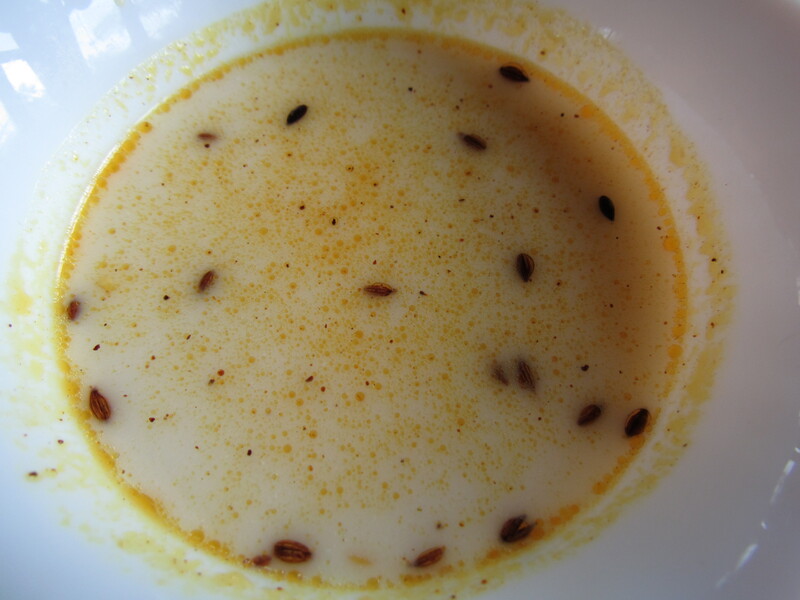 For dessert we were served ‘kheer’ which is similar to payasam of South India / Payesh of Bengal. It was OK again. I am used to a thick & creamier version & hence cud not appreciate this much. Overall – I wud surely get back here to spend more time in future & look forward to trying out the non vegetarian buffet as well. 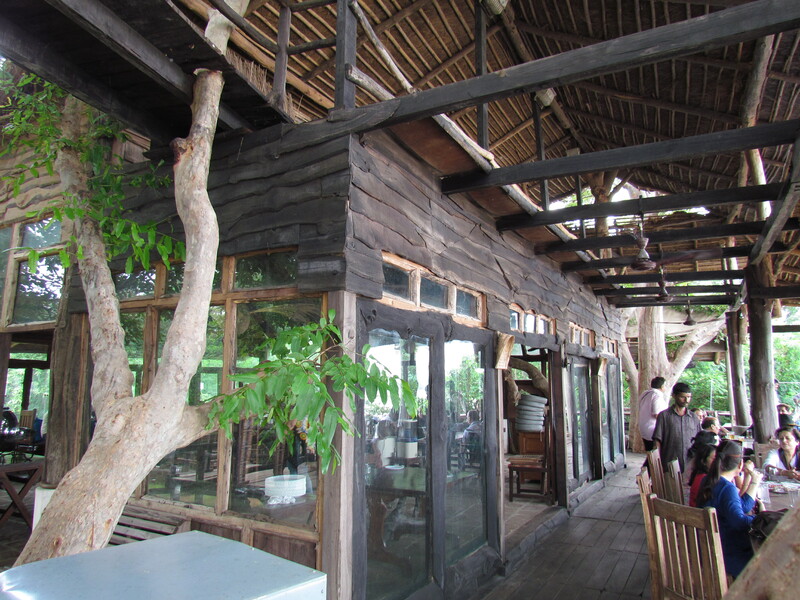 liked the way the place has been designed….very unique!! !